Enter a land of magic and wonder, where a young sorceress-in-training uses her green thumb, rather than a magic wand, to solve puzzles. To win, simply rotate the branches and roots of budding flowers to connect the plants one to another. Doing so removes the tiles on which they rest and allows you to progress to the next level. Do well, and your teacher will reward you with a variety of exciting bonus rounds! 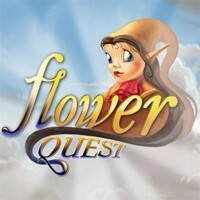 Play Flower Quest, and your love of puzzle games will bloom like never before!